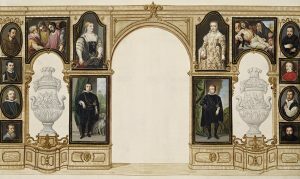 The German organisation for the Study of Netherlandish Art and Culture (Arbeitskreis Niederländische Kunst- und Kulturgeschichte e.V.) will hold its decennial as an international conference in The Hague in cooperation with the RKD from 18 to 20 October 2018. The RKD is currently investigating the cultural exchange between the Netherlands and Germany between 1500 and 1900 in its three-year project Gerson Digital: Germany. The basis of the project is the pioneering publication by Horst Gerson (1907-1978), Ausbreitung und Nachwirkung der holländischen Malerei des 17. Jahrhunderts (Amsterdam 1983, ed. princ. Haarlem 1942), in which the circulation and imitation of Dutch paintings in Europe are processed by country. We also aim to have one open session of lightning talks in which any future, present or past project or exhibition, unrelated to the above-­‐mentioned panels, can be presented in exactly eight minutes. Please indicate in your abstract whether your proposal is meant for the lightning talks or the more traditional panel format. Please send an abstract of the proposed paper (maximum of 500 words) in German or English and a short curriculum vitae to both the RKD and the ANKK. Deadline: 15th of April, 2018.